Archimedes | Cool Kid Facts . Archimedes was born in approximately 287 BCE, in Syracuse, Sicily, Italy. Because of the long time that has passed since his lifetime, many general facts about his life are unknown. However, he is one of the most famous scientists of that period, and his work is still known today. During his life, Archimedes was close to the king of the region, Hieron II. He also communicated frequently with other known scholars of that time, Conon (from Samos) and Eratosthenes (from Cyrene). 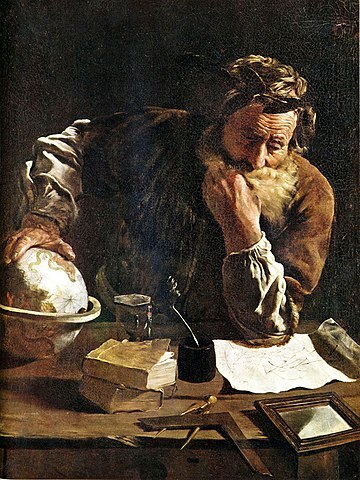 Stories of Archimedes’ life suggest that he was known as somewhat of a genius, especially for mechanics and engineering. He has the credit for the invention of the Archimedes screw. There are stories that are likely true, such as Archimedes determining how much gold and how much silver was in King Hieron’s wreath by weighing the wreath in water. But then there are stories that are likely untrue, such as Archimedes running out of the bath into the streets when he figured out how he could measure the water levels in the bath. He was known for having interest in the reflection of light in mirrors, and how it could change based on the curves of the mirror. He also focused his work on mathematics and mechanics, or engineering. 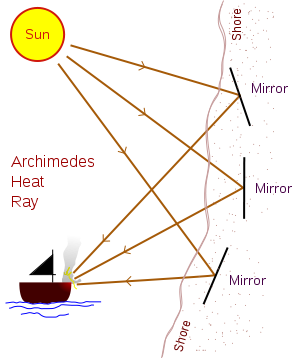 Archimedes wrote papers on theoretical mechanics, including his work Method Concerning Mechanical Theorems. He used these theories to help him work on what he really appreciated: mathematical formulas and theories. Archimedes is famous for having published nine treatises on mathematics. His book On the Sphere and Cylinder contains some of his mathematical formulas. One finding that he shared was the idea of calculating the surface area of a cylinder from a sphere that would fit inside it. Another was that the volume of a sphere is two thirds the size of the cylinder it would fit in. In fact, Archimedes was so proud of this particular work that he had it engraved on his tomb. 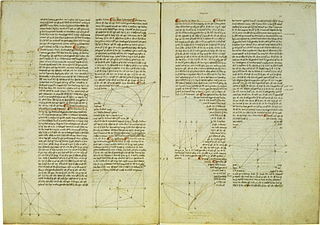 Another book he published, Measurement of the Circle, has more mathematical formulas that he discovered. 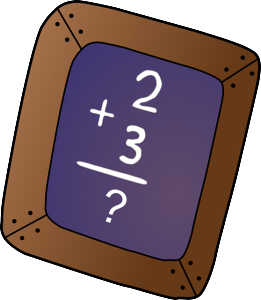 This one includes formulas involving size measurements of circles in relation to the mathematical constant, pi (3.14). This second book also includes information about polygons (irregular shapes), and how measurements can be calculated for them, even with large numbers of sides. This work also includes surprisingly accurate estimations of square roots for large numbers. His next book, On Conoids and Spheroids, describes how to measure the volume of cones and different parts of cones (such as the circle at the base), which later became part of modern calculus. Archimedes published multiple other books following these, in which he described many different mathematical formulas that later became well known and widely used for solving calculus, algebra, and geometry. Unfortunately, due to the long passage of time since Archimedes’ lifetime, many of his books did not last, and we do not have them. It is estimated that they might contain theories regarding light reflection and refraction, the processes of bending light in mirrors and glass. It is said that Archimedes died helping to protect his city (and his mathematical papers) when the Romans invaded Sicily, in possibly 212 or 211 BCE.